Several years ago, while visiting family in Knaresborough, we briefly stayed in the small and beautiful village of Follifoot. Follifoot is believed to derive from a Norse phrase meaning “Place of a Horse Fight” which was popular in the medieval era. The village is believed to have been a place where horses were trained and fights were staged. The village was not listed in the Doomsday Book of 1086. The earliest written record of Follifoot referred to it as “Pholifet” in the twelfth century. 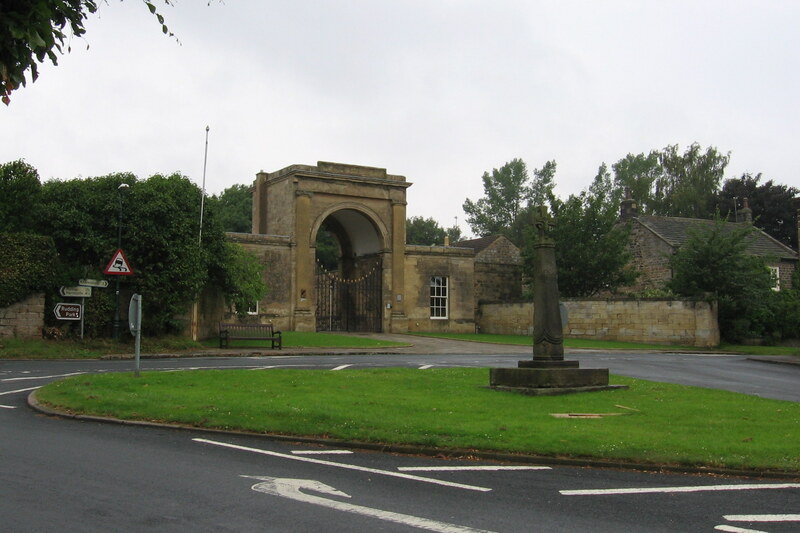 According to a conservation appraisal of the town, several Saxon remains have been unearthed in Rudding Park and in 1964 a kiln with five or six flues was found at Low Garth, which definitive evidence of a permanent medieval settlement at Follifoot. In the center of the village of Follifoot sits a lovely Saxon cross which dates to the 9th century, although its upper portion was restored in the 19th century. Fewer monumental Saxon stone crosses have survived in England compared to Ireland, due to the iconoclasm which occurred after the English Reformation. 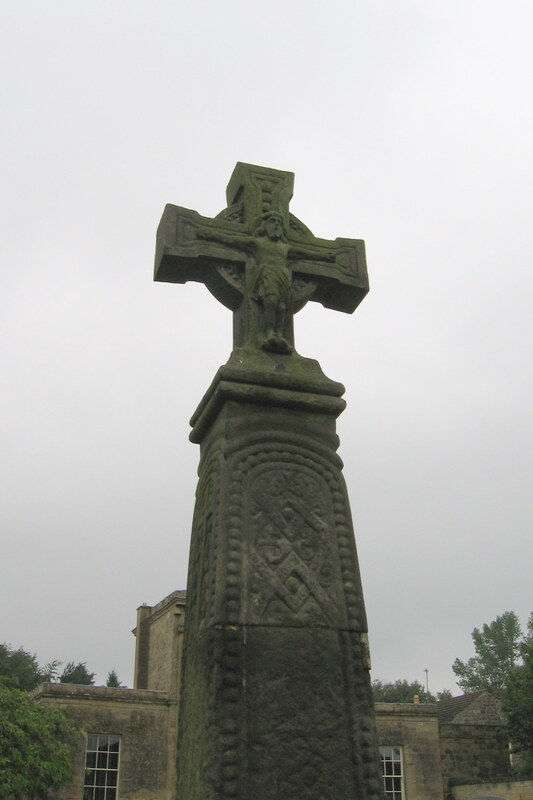 English Heritage reports that the cross is carved from local gritstone, described as a tall columnar cross on three square stone steps with a molded circular base with similar triple swagged motif above. A plain shaft rises to its square top with similar molded cap. A cross on the top, which was restored in the 19th century, includes small figure of the crucifixion.